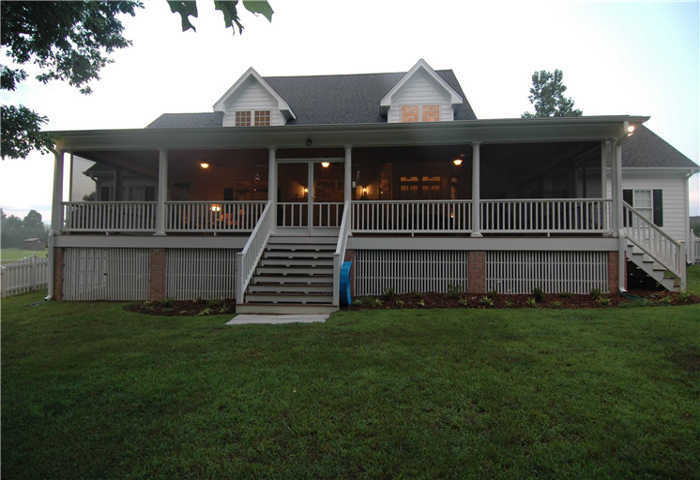 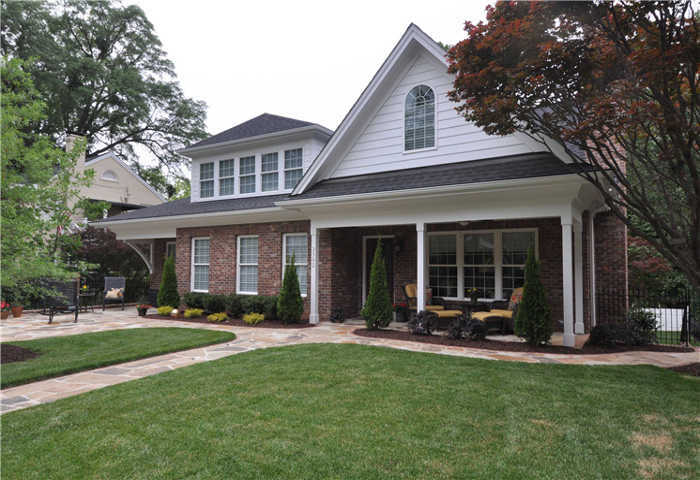 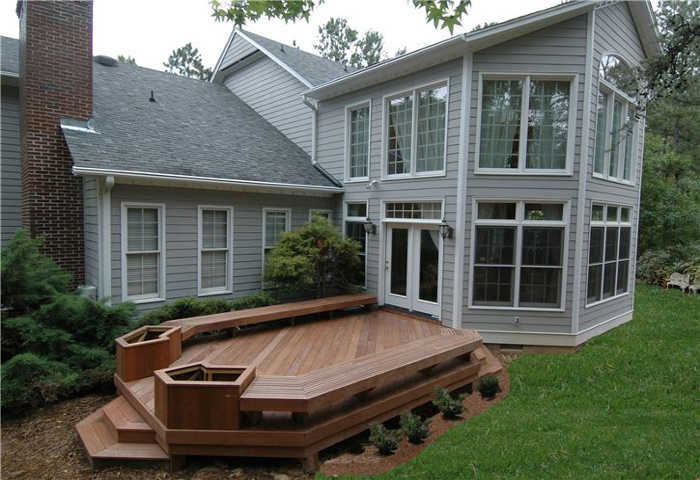 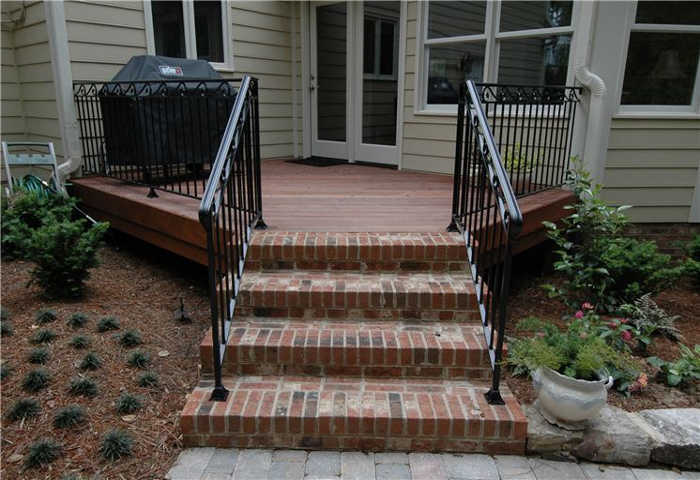 We offer yard remodeling of all types for outdoor living in Raleigh & the Triangle area. 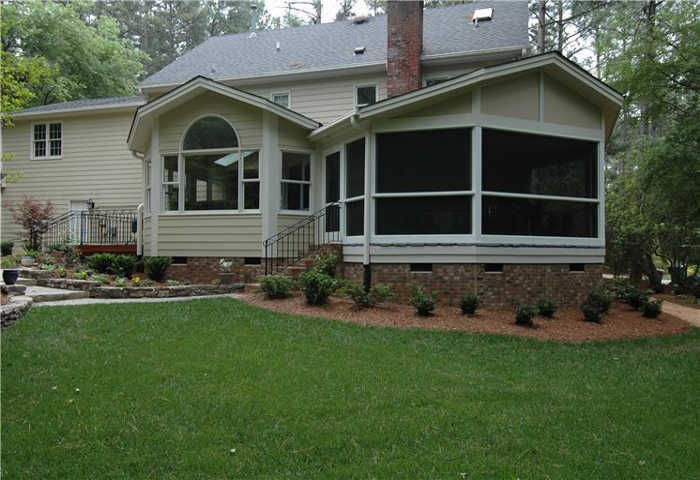 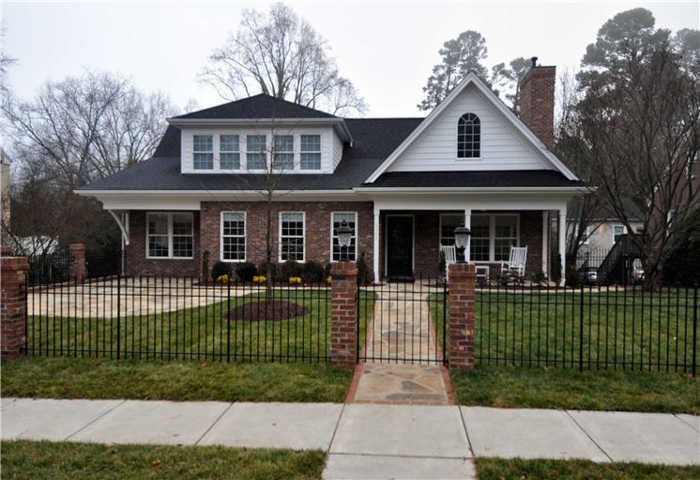 For many homes in Raleigh, NC and the surrounding area, “home” means more than just a house. 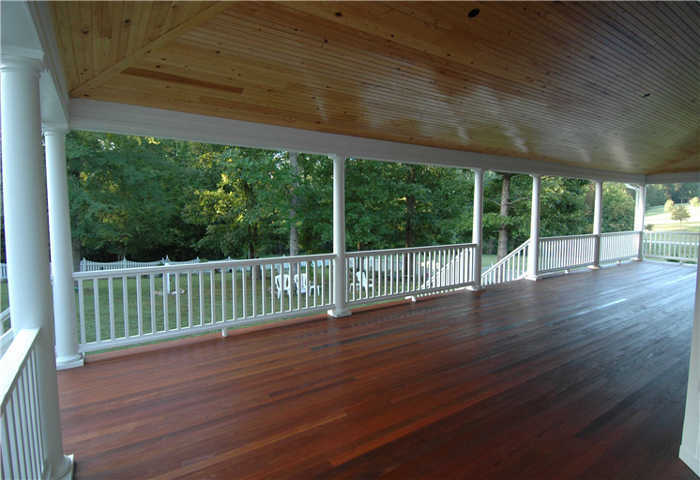 It means your whole property, outdoors included. 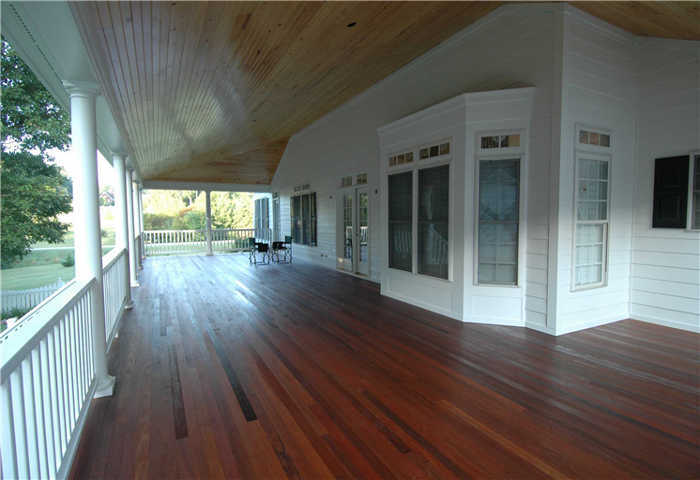 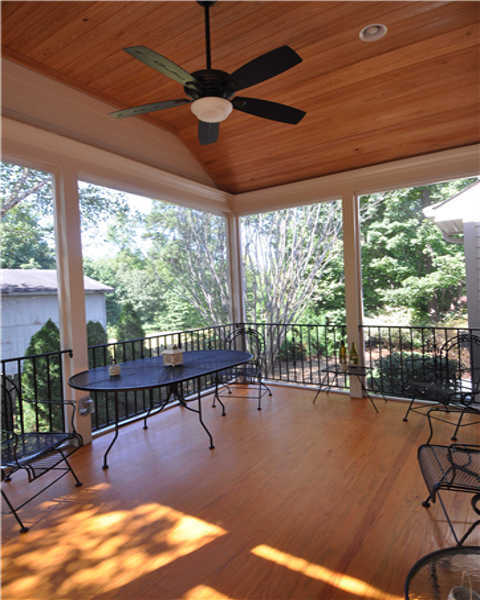 A new screened porch, sunroom or deck provide a great transition from indoors to outside and expands your opportunities for entertaining family or guests. 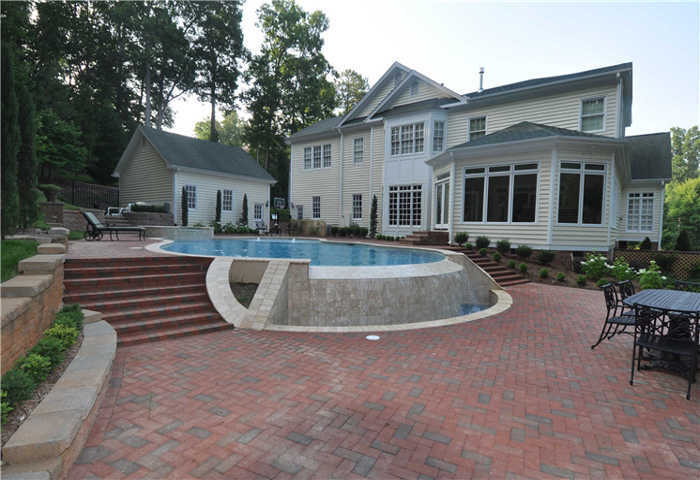 We have been enhancing outdoor living for Triangle-area residents for over 35 years now, and have won multiple awards for our projects. 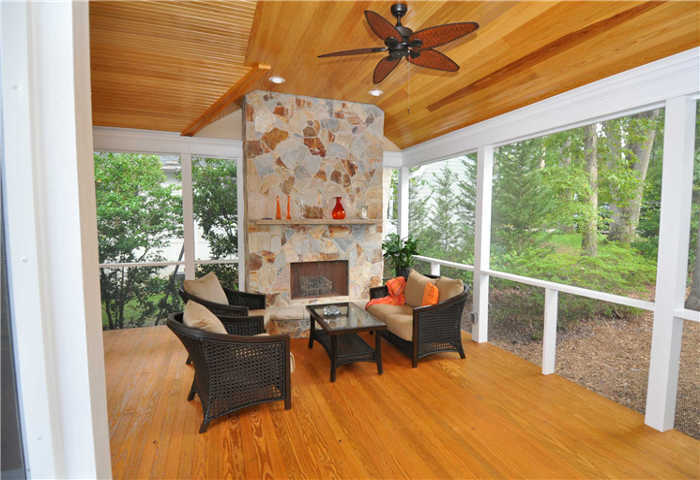 Outdoor fireplaces – Add a cozy touch to your outdoor living space. 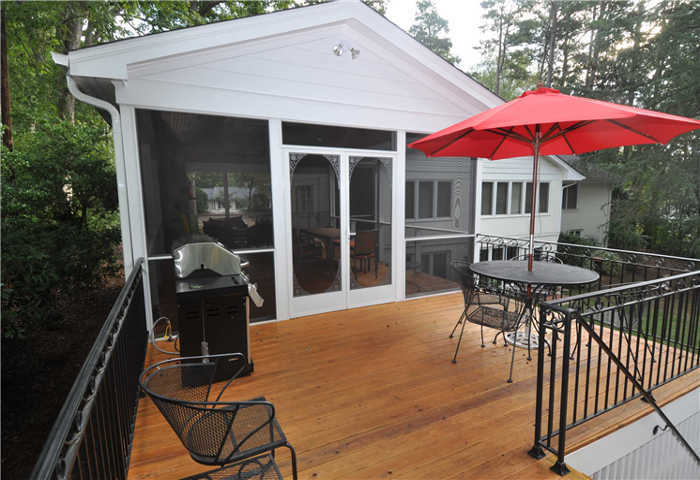 Outdoor kitchens – Cook up something special with our kitchen designs! 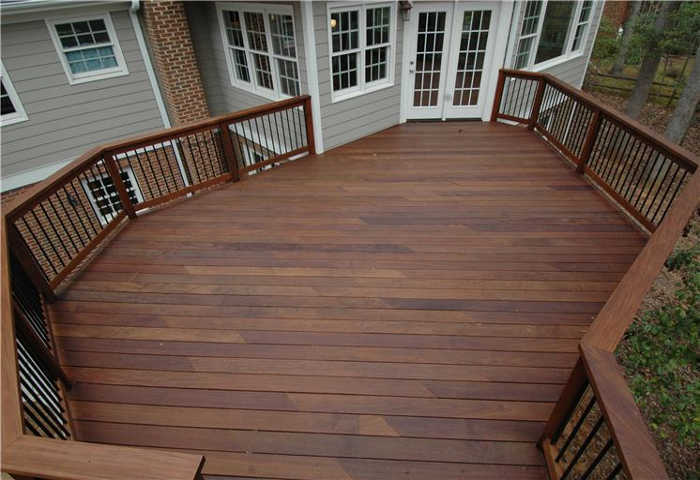 Decks – Featuring creative deck designs and complete with add-ons. 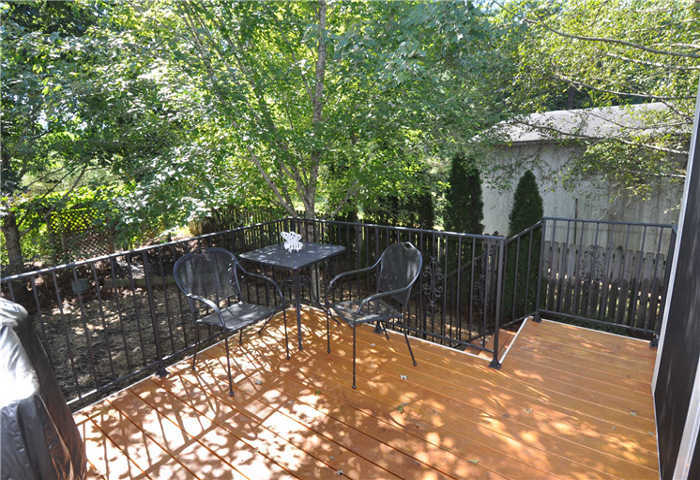 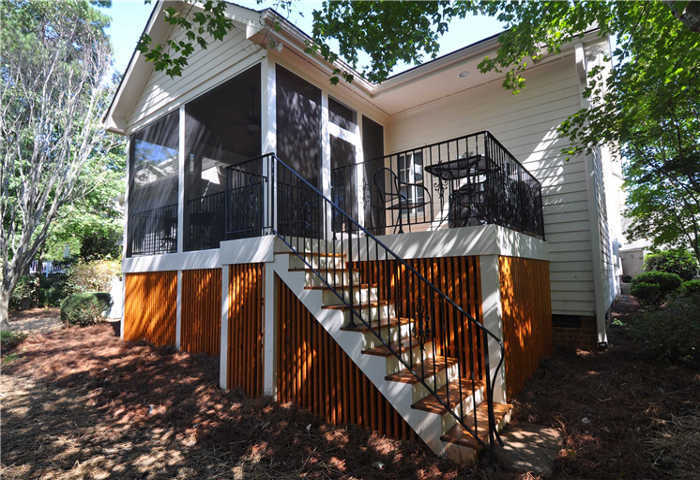 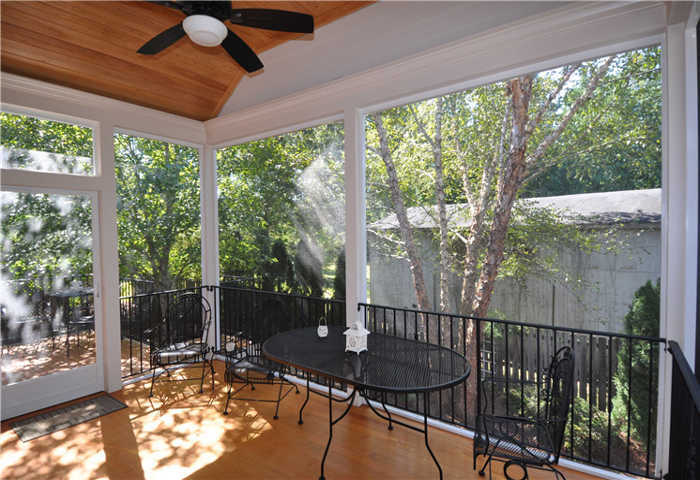 Screened-in porches and screen rooms – Create a private oasis in your backyard! 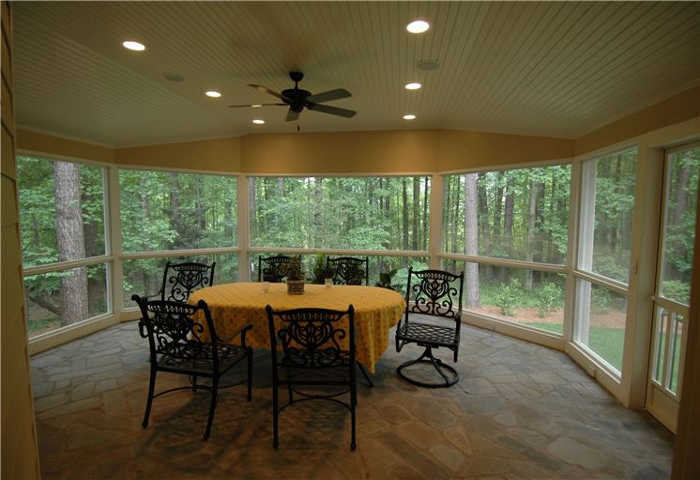 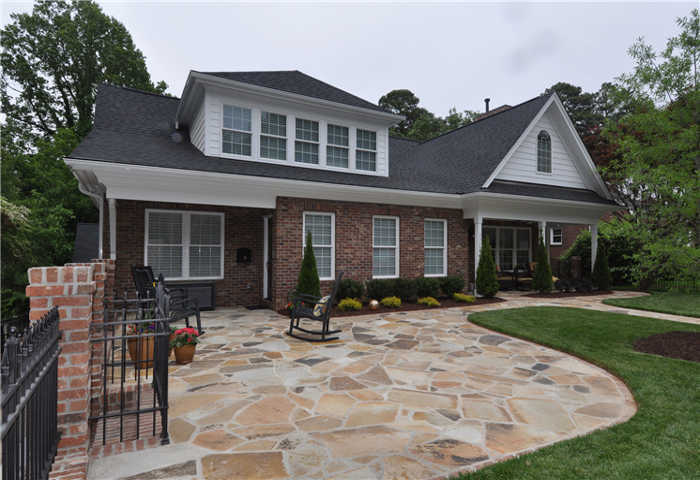 Stone patios – Sophisticated and inviting, they suit most outdoor spaces in the Triangle area. 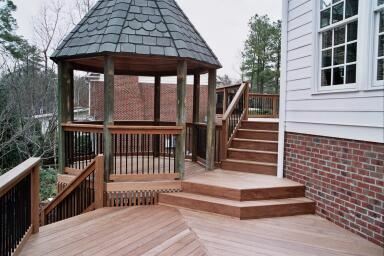 And many more – ask us about the options! 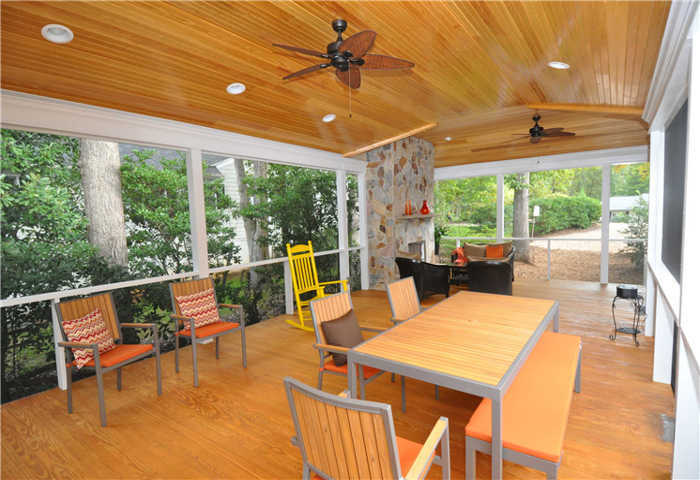 Let us help you explore the outdoor entertaining options your home has, and create the outdoor living space that you’ve always wanted — work with an expert renovation team you can trust. 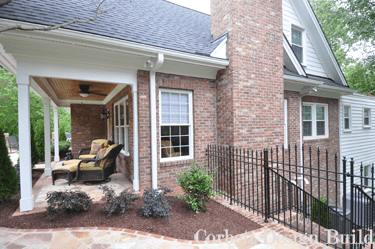 Our professionals at Corbett Home Design are ready to transform your outdoor space into an integrated part of your home. 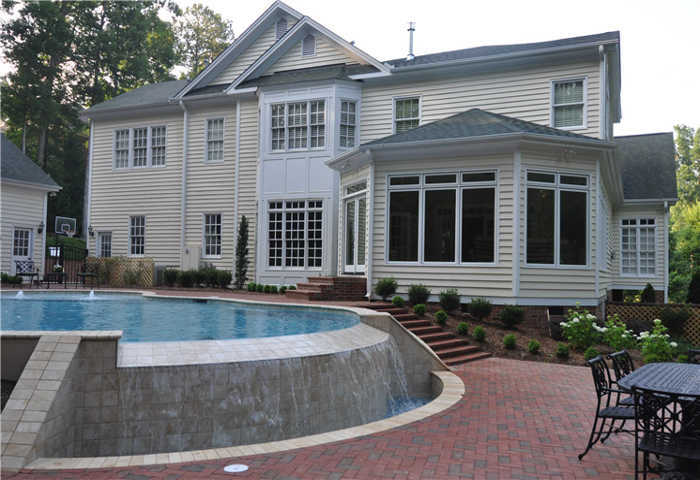 With 100% custom work, highly affordable rates, and exemplary service every step of the way, we’re the easy choice for your next outdoor living project. 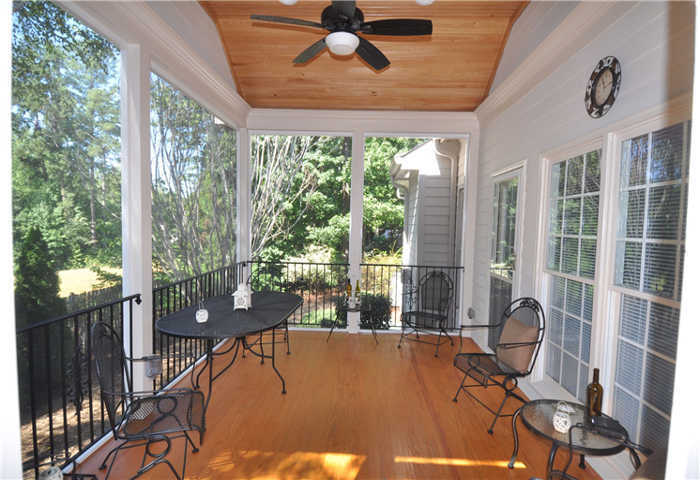 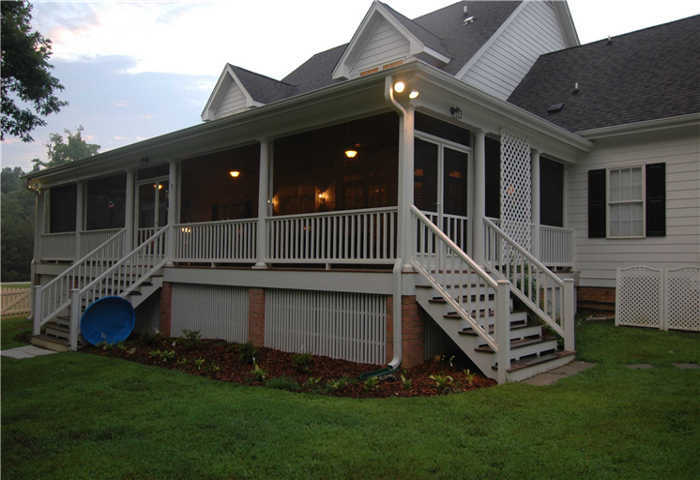 In North Carolina, screened porches can be used much of the year and allow you to be virtually outside without dealing with insects or getting rained upon. A beautiful design can really bring it to the next level. 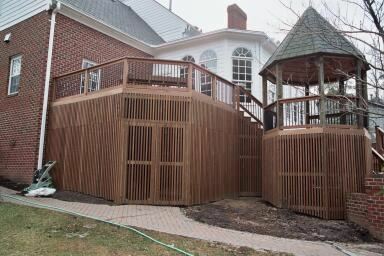 We work with your existing home to come up with the design that functions best for you and your family. 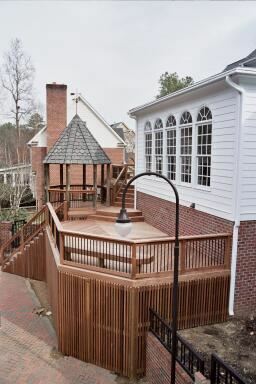 We love to design it in a way that capitalizes on your outside views.